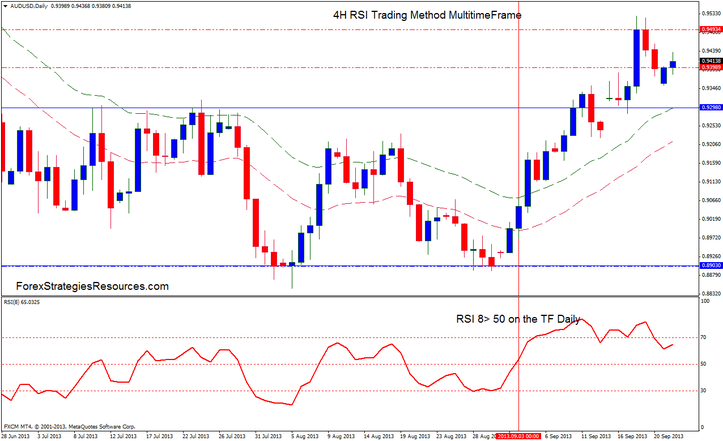 This Trading system is based on the RSI indicator on 4H chart and Daily Chart. Daily chart determine the trade. If RSI indicator (8) periods on daily Chart >50, only buy, if RSI indicator (8) periods, on daily Chart <50 only Sell. Time Frame 4H and daiy. EMA Channel formed by two exponentials moving everages 25 periods (high and low). Candle closed above 25 EMA and the last two candles must bull candles (blue candles). 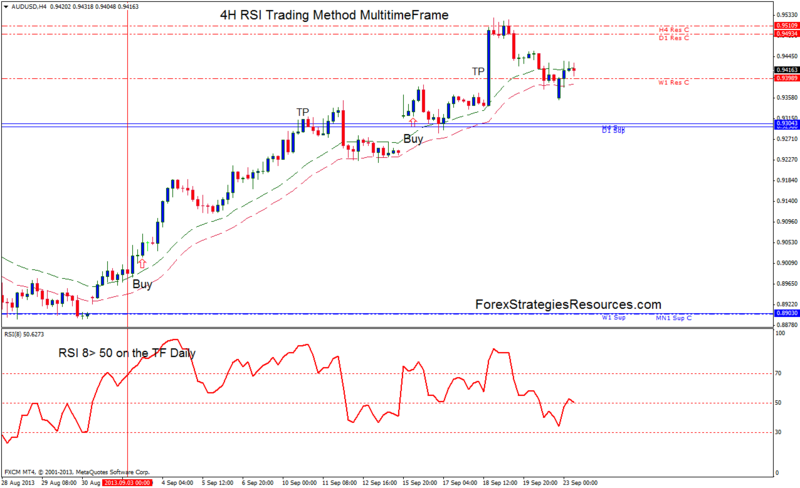 RSI 8 at 4hr must be above level 50. Candle closed below 25 EMA and the last two candles must bear candles (blue candles). RSI 8 at 4hr must be belw level 50. Take profit Ratio 1.4 Stop loss. Profit Target on the support and resistance lines. Initial stop loss on the previous swing, after 40 pips in gain move stop loss at the entry point. September 3rd, RSI 8> 50 on the TF Daily, only buy on the 4H TF.